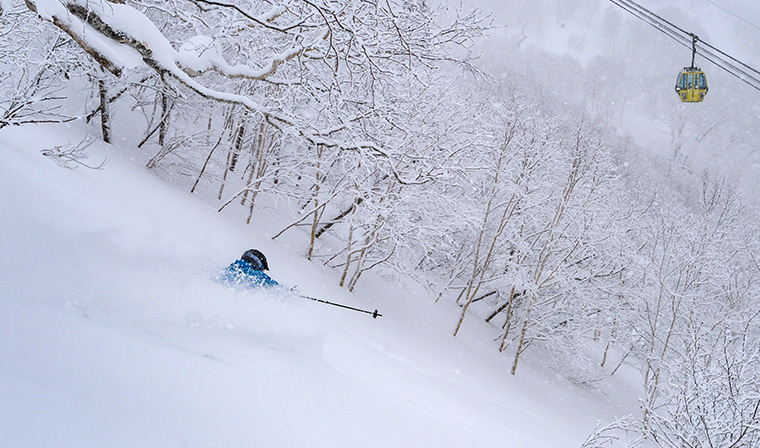 A limited area where you can enjoy skiing outside the courses according to Tomamu's rules. A separate application beforehand or on the day is necessary for skiing the off-piste areas. Areas restricted to advanced skiers only require separate procedures at the reception desk. After signing the waiver and agreement, skiers will go onto the mountain wearing helmets and armbands. *Before entering the mountains, skiers must receive an explanation of all off-limits areas and a lecture on skiing safely in the restricted areas. 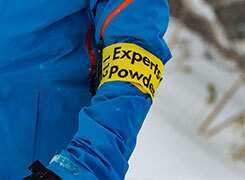 This is one of Tomamu's rules to ensure safety when skiing outside the courses. Be sure to return by 15:30 every day regardless of whether a day trip or stays for multiple nights in a row. Convenient advanced application via the Web is recommended.